Sure, and they would be different for you too! I see we’re back to your geographic objection. You’re claiming that I’m a Christian because I was raised in a Christian home in a Christian culture and therefore that Christianity is false. But that doesn’t follow. Even if I believed Christianity due to social conditioning, it still might be true. That’s fair. If that was the only reason I were a Christian then I might lose my grounds for being one. But I don’t believe my upbringing exhausts my reasons for being a Christian, so your point isn’t really relevant. Sigh. And the thoughtfulness just flew out the window. I’m starting to sense that the partitions in Randals mind are always up. If Randal wasn’t brought up Christian, what other reasons could he have? Apologetic ones? Theological ones? That’s assuming he ever came into contact with Christianity. If he was, for example, brought up in China, then there’d simply be no reason to ever consider Christianity. In fact, he probably would never have heard of it. So in such circumstances, what reason could he have? Another thing Randal gets wrong is that Sheridan didn’t say being raised in a different, non-Christian, culture would falsify Christianity. All he said was that “things would be different” and Randal wouldn’t have any reason to be Christian. Both are true statements. It’s strange that Randal is the one making the genetic fallacy here, not Sheridan. Sheridan didn’t say being born in another country and culture would falsify Christianity, he merely said there wouldn’t be any reason to be Christian in such a context. Randal then goes off the deep end saying that Christianity wouldn’t be falsified by such a context. No, and nobody said it would be either. It seems that Randal thinks he’d still have reasons to be Christian even if he weren’t Christian. His other point, that he may have reasons besides his Christianity is well taken, but that wasn’t Sheridan’s point. An editor should have caught this and had Randal correct this part of the dialog, because as it is, it comes off as confused. I certainly agree that we ought to think through the inherited assumptions of our culture… But the same goes for atheists raised in an atheistic culture. So if you claim that my beliefs are in doubt because I was born into a supposedly Christian nation, then the Swedish atheist’s beliefs are suspect for much the same reason. Sheridan then brings up the point that Randal isn’t making much sense. Doubting ones religion, after all, makes sense. Nothing wrong with some healthy skepticism. Sheridan adds that doubting ones doubts seems a bit like overkill. I agree. Technically speaking, if you're already in doubt, then you're currently in the process of doubting. Having second thoughts about your second thoughts would simply put you back on track from where you started, and you wouldn't be doubting. I'm sure this circular process occassionally happens over time, but it seems strange to me that Randal wants doubters to doubt their doubts from the get go. That's not how it works though, for the reason that this would simply negate one's doubts before they have had the proper amount of time to doubt whatever it was they were doubting. Besides, atheists who are “cultural atheists” usually aren’t entirely in the dark with regard to religion. Even in a country that is 85% atheistic, there is still a large Christian presence in Sweden, and 67% of Sweden’s population are members of The Church of Sweden, of Lutheran Christianity. If you are wondering why the percentages don’t add up, it’s because of the overlap. 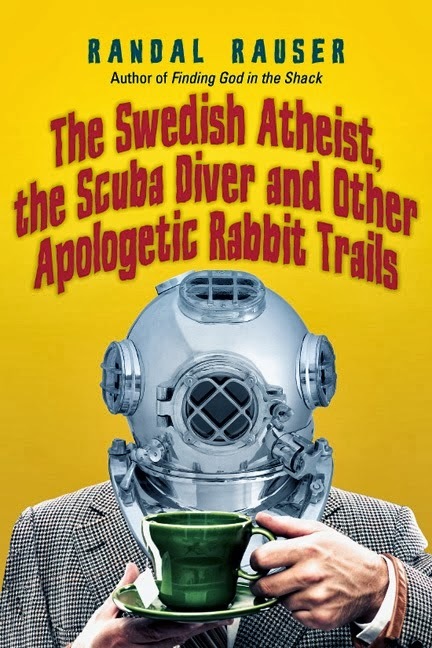 The thing that makes Sweden truly unique in terms of its atheism is that it has a constitution which allows specifically for the “Freedom from Religion” which lends to a higher rate of atheism, if not religious apathy, since even members of the Lutheran church do not owe allegiance or anything else unlike those who belong to the Church of England. Even so, when 67% of the country still belongs to a Christian establishment, it’s hard to imagine that the atheistic percentage is ignorant of religion. In nations predominantly Christian like the United States, with a shocking 80% of Americans claiming Christian affiliation, it’s much easier to find areas where atheism, a mere 4% of the population, is relatively non-existent. A better example than Sweden, I think, would have been Japan. As Japan has no past cultural saturation of Christianity, and isn’t a Western society, and boast an impressive 81% atheistic worldview. A real objectivity test doesn’t require us to adopt another set of beliefs. It just requires us to adopt the same critical perspective toward our beliefs that somebody who didn’t hold them would take. After a huge gasp, I reread it, then I read it again. After the third read I placed my face in my palms and just sat there wondering how on Earth Randal could be so blind. Can he not see that he just outlined John W. Loftus’ Outsider Test of Faith?! Yes, the same test which he adamantly opposed earlier, in chapter four. Also, Randal seems to not understand that in countries like Japan, that used to have state religion under the Emperor, the entire reason they are now an atheistic nation is because they were no longer required to adopt a national religion, but were free to make up their minds and find their own beliefs. It’s quite telling that in doing so Japan grew predominantly secular. This just goes to illustrate that Sheridan’s point is not wrong. Without the influence of Christianity, or the adoption of any national or state religion, and where people are free to be skeptical and think critically, they almost always grow atheistic. It’s also happening in America as we speak. From 2005 to 2012 there was a 5% increase in people identifying themselves as atheists and an astonishing 40% increase in those who didn’t affiliate with any group (called the Nons). 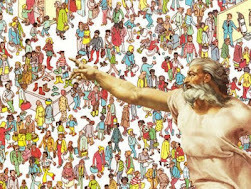 Subsequently, this huge growth spurt makes atheism the largest growing group among religious demographics in the U.S. In addition to this, the rate of those who have, in the past, identified themselves as religious is down 13% in the same period of time. Atheism in America has quintupled since 2005. Or, to put it another way, it rose 400%... Seven years ago, atheists were barely a blip... But more significant than the atheist numbers is the 13% drop in people identifying as "religious." The point I want to make here is that Randal is not wrong. Indeed, a real objectivity test doesn’t require us to adopt another set of beliefs. It just requires us to adopt the same critical perspective toward our beliefs that somebody who didn’t hold them would take… until we discover that our beliefs are false, unsustainable, or irreconcilable with our modern empirical undersanding of the way the world works. When this happens, then the truly objective person will adjust their beliefs accordingly. This 400% increase in atheism may be representative of a more rational, more objective, generation doing just this very thing. Although I’m not in disagreement, I would add that Randal seems to only be making a case against atheists brought up atheist, which is very few I would imagine. There are many more atheists to have rejected their religious upbringing, which sort of complicates Randal’s point, I should think. How so? Well, because one conclusion we could draw from this recent mass exodus, so to speak, is that Christians who stay Christian haven’t critically evaluated their faith as eruditely as Christians who have left the fold and embraced the atheistic worldview. [W]e should strive to develop intellectual virtues in all the things we believe… Being a rational, fair thinker—that’s a life’s work. And again, I couldn’t agree more. I wonder how many self-assured secularists were critical at one time but have since fallen into irrational intransigence, much like I lost the ability to dive. It’s either a bad analogy or I just simply don’t get what point he’s trying to make. As I understand it, the outsider test of faith isn’t a definitive test to prove religion false. It’s merely a technique to help one gain a broader perspective, and if one’s perspective shifts, they could always employ the technique again. [I]f you demand that I question my beliefs without questioning your own… that’s an indefensible double standard that just isn’t reasonable. 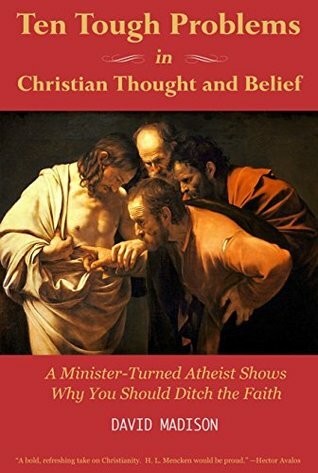 Once again we’re in agreement, but knowing the large number of atheists who were once religious compared to cultural atheists, as Randal calls them, and knowing the large number of religious who are cultural Christians, then it seems to me the people who are most in need of this advice aren’t atheists like Sheridan, but Christians. Randal is simply preaching to the wrong crowd. 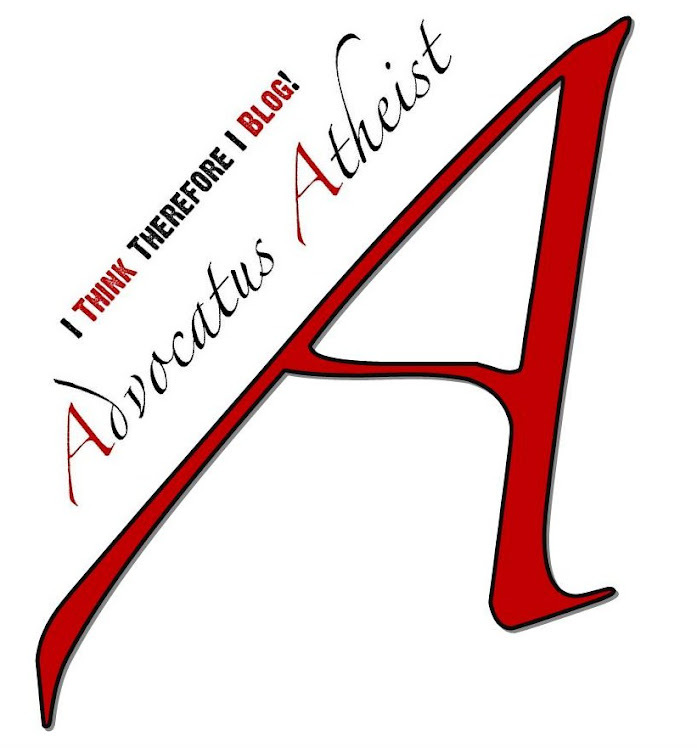 In chapter 12 Randal asks, “Will the Real Atheist Please Stand Up?”—which also happens to be the title of the chapter. I have no idea what it will be about, but the title has me intrigued.